The opening of the Square of Memory and Honor held in Termez. It was especially noted that under the leadership of the President of our country extensive work is carried out to perpetuate the memory of the departed, honor the veterans of war and labor, respect for the older generation strengthen their health and provide comprehensive support. For the construction of the Square of Memory and Honor were spent 6 billion 200 million soums. At the modern square, which occupies two hectares, was erected a monument of the Sorrowful Mother. 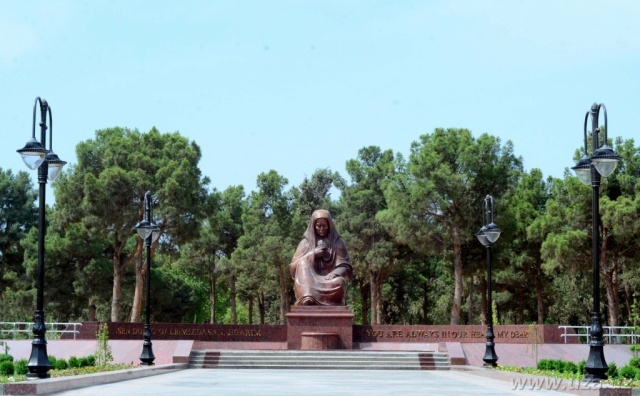 The square is surrounded by flowers and trees, on the wide aivan that combines the style of modern architecture and traditions of national architecture, were fixed special Memory Books in which the names of Surkhandarya residents, killed on the fronts of World War II, will be inscribed in golden letters. Representatives of state and public organizations, mahalla activists, war and labor veterans, and young people laid wreaths to the monument of the Sorrowful Mother.